Hi, can you send me the jarum bintang tujuh i would like to plant it. As i have a father who got stroke i would like to give to him. Please email me if you can send me i will give you my address. Many thanks in advance. I just recently knew about this plant. There is a plant growing in my school compund. Where do you live? 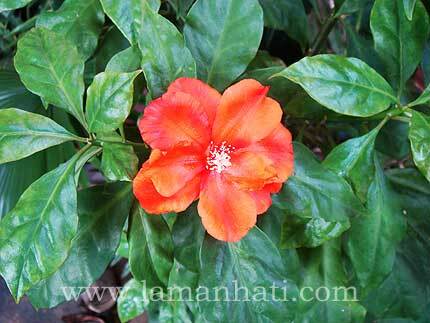 This plant is not Pereskia sacharosa but Pereskia bleo. Like all members of the cactus family the genus Pereskia is native to Tropical America. In Malaysia and Singapore, P. bleo is frequently mis-identified as P. sacharosa, but in fact P. sacharosa (which has pink flowers) is extremely rare in cultivation. Marc, thank you for the info. I will look up about Pereskia bleo. It is very hard to identify the correct name for all that plants that I bought and grew at home. 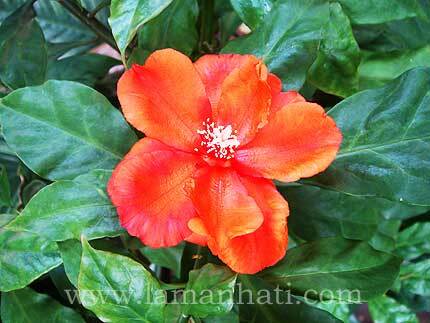 Hi, I have a Pereskia bleo in my garden. It doesn’t bloom as pften as I’d like it to be? Could it because it is under partial shade?